Recently broadcast journalist Ted Koppel claimed that “terrorism is simply the weapon with which the weak engage the strong.” This illustrates that although the West may not make murderers of the elderly into heroes, some understand their actions as resulting from weakness. But we need to ask, if terrorism is the weapon of the weak, why are society’s weakest its most common victims? According to those like Koppel, the terrorist resorts to his actions because he does not have the same weapons as the strong. But we know from experience that in fact the terrorist is often the bully in his home community, and only commits his acts from a position of strength. For instance on August 13 gunmen suspected to be from the Islamist group Boko Haram opened fire on worshipers in a mosque in northern Nigeria, killing 44 people. Are the gunmen the “weak” and the men bent over in prayer the “strong”? On August 10, in Quetta, Pakistan, 29 men leaving a mosque after Eid al-Fitr prayers were gunned down. As revealed in Sammy Hudes’ article in The Jerusalem Post, most of the first 26 Palestinian prisoners soon to be released from Israeli prisons are cut from the same cloth. Salah Ibrahim Ahmed Mugdad beat 72-year-old Israel Tenenbaum to death with an iron bar at a hotel in Netanya and then stole a television set. Yusef Abdel Hamid Irshaid and Samir Hussein Murtaj tortured and killed other Palestinians who they claimed were “collaborators.” Burhan Subaih also set out to kill “collaborators,” one of whom was a woman named Aisha Abdullah Haradin. Atiyeh Salem Musa axed to death 67-year-old Isaac Rotenberg as Rotenberg was bent over fixing a floor on Passover. Ali Ibrahim al-Rai attacked 79 year old Moris Eisenstatt in a similar manner in 1994, while EIsenstatt sat on a park bench in Kfar Saba. This isn’t weakness, it is the strong preying on the weak. Victims of terror are more often poor, and always unarmed, usually elderly or children. Yet we are still treated to the endless propaganda of the humanizers of the perpetrators. An example is Ilene Prusher’s front-page article in Haaretz on August 13, titled “Honor, grief, culture shock and fiancée await soon-to-be-released Palestinian prisoner.” Supposedly, Ahmad Juma Khalaf’s family “waits for the brother who hasn’t been home in more than two decades.” One might think he had been lost at sea, or had been on a perilous mission to the International Space Station. In fact, he was convicted in 1992 of attempted murder for stabbing a man in the Old City of Jerusalem. Prusher claims “he still denies his involvement in the attack, making it impossible for him to show contrition.” Yet she notes the family “will post pictures of Ahmad and of Palestinian figures Yasser Arafat and Abu Jihad.” Prusher belabors the point, claiming that these are men serving time for “violent crimes… committed before the 1993 Oslo Accords.” Palestinians see the release as “a natural step in the process of making peace.” The Prusher article humanizes Khalaf, but does not mention the victim. This type of humanizing is a crime against the weaker members of society who people like Khalaf strike down. SINCE THE victims of terror are the weaker members of society, the potential release of terrorists should be seen in light of the state’s obligations to its citizens, especially its weaker ones. The theory that the government owes man protection derives from the Enlightment concept of the social contract. In this savage world there was no right and wrong or justice and injustice because “there is no law, where no law, no injustice.” He paints a picture of a society where man must confront the terrorist with his own weapons, in which the terrorist is not wrong because the term has no meaning. In such a state the elderly would arm themselves, rather than trust in government. In such a state the terrorist would not be prosecuted, but hunted down by the victim’s relatives and retainers. Now think of the thief as the terrorist, setting upon our weak. Our weak citizens trust in government to protect them. Herein lies the breakdown in the social contract between us and the state. The government does not fulfill its side of the contract by releasing the terrorist. Terror is not a weapon of the weak, and should not be humanized. In releasing terrorists the state is failing in its contract with its citizens. Man gives up his right to self-defense in favor of the law, but that means that in exchange the state must protect him against terrorists who seek to deny him his essential liberties. We think of terror in terms of peace agreements, in terms of understanding motives, but along the way we forget the victim’s right to self-preservation. We should always remember the failed social contract that is embodied in some media’s excusal of terror and the government’s decision to release terrorists. 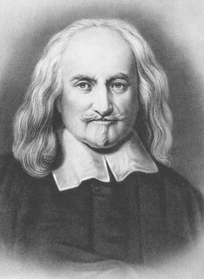 Pre-Oslo or post-Oslo, Locke and Hobbes understood that it is the citizen at the center, not the savage murderer.